Apple has purchased another 200 acres in North Carolina in order to build another solar farm to help power its massive iCloud data center. The $3 million land deal was detailed on Thursday by the Hickory Daily Record, which revealed that Apple will buy nearly 220 total acres in North Carolina's Catawba County. The property a few miles away from Apple's data center is expected to house a second solar farm that will produce 42 million kWh of electricity. The new facility will be located adjacent to a new North Carolina Data Campus, a multi-jurisdictional facility that will add infrastructure to the area in an attempt to attract other companies looking to build data centers. Apple's plans for its second solar farm are coming together as the company is nearing completion on the first massive facility. 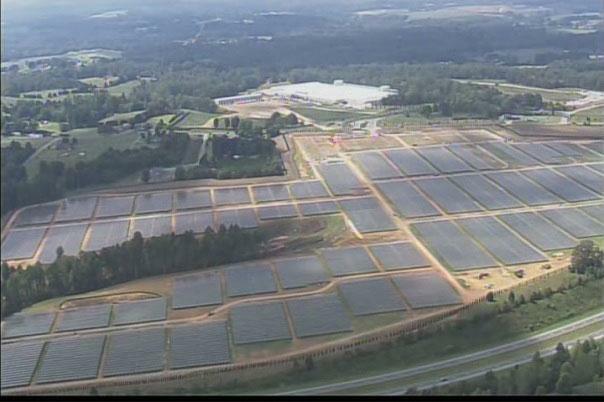 The 100-acre solar farm is set to go online later this year and will be the largest of its kind in the country.